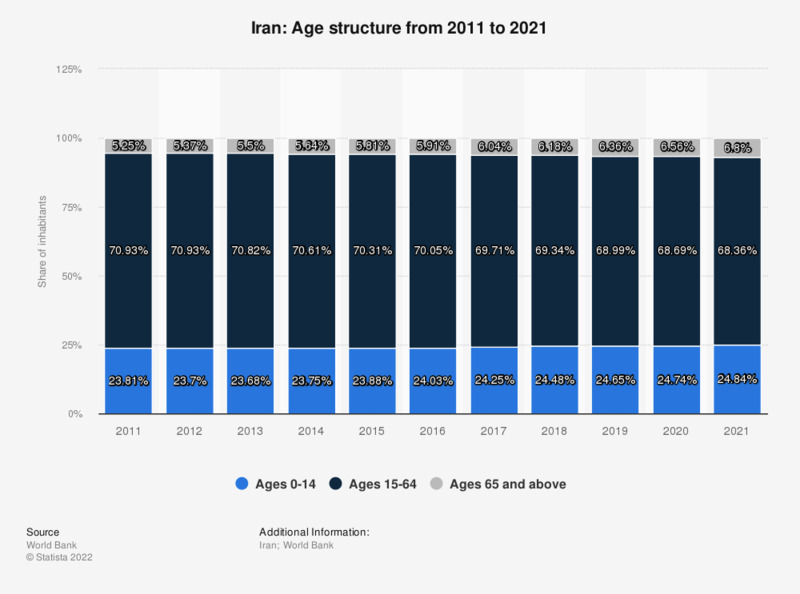 This statistic shows the age structure of Iran inhabitants from 2007 to 2017. In 2017, about 23.69 percent of inhabitants were aged 0 to 14 years, while approximately 70.87 percent were aged 15 to 64, and 5.44 percent of Iran inhabitants were aged 65 or older. Are you concerned about the Iran's nuclear program? Would a nuclear-armed Iran pose a serious threat?